The Kettler rowing machine is designed for a full-body exercise while maximizing toning and weight loss on the hips, arms, and legs. The Kettler rower machine offers an affordable means for core strength training. Kettler is a German-based company that dates back to 1949, and Kettler USA has served North America since the 1980s. Since that time Kettler has become from a small factory to a worldwide popular manufacturing and marketing organization having the employee over 1500 people. Kettler products are now sold all over the world. The most important things the Kettler rower also comes fully equipped with a multi-functional fitness monitor and included pulse rate monitor. Plus two adjustable resistances rowing arms helps to fold and store easily and simply. The thickly padded seat has sealed ball bearing that accepts it to glide smoothly along a steel track. This is the most important fact that rowing machine Kettler is a very unique and comfortable fitness exercise machine for home. Now, I am going to describe the full product info of Kettler rowing machine review including pros and cons. The Kettler rowing machine is an Indoor exercise/ Fitness Equipment. Kettler Rowing machine is an excellent option to develop your muscular and cardiovascular health. The LCD display has six functions simultaneously, calories loss, Distance, Time, Strokes, Pulse Rate and Frequency. The display also includes a recovery feature which provides a cardio wellness regarding index from one to six to track improvement. It has two industrial strength hydraulic pistons that provide resistance, which can be adjusted by repositioning the piston’s clamps to the various knurl marks on each rower. The resistance levels can be set to any one of the 50 knurl marks that provide a wide range of resistance. Biomechanical footplates offer a natural pivoting action providing a full longitudinal rowing motion. kettler stroker rowing machine allows up to 285 lbs users body weight. The Kettler rower has a high contrast LCD Screen. It has the six functions simultaneously Time, Distance, Energy, Consumed, Strokes, Pulse Rate, and frequency. Some people say that it is not the latest display but other people thinking that it is a large and modern technological display system. Kettler can provide the best hydraulic resistance rowing machine. There is always the worry that once you get into the exerciser, the resistance may drop out and not allow you to get the exertion that you are looking for. The Favorite Kettler rowing is no different. The most important thins Resistance levels can be set to any one of the 50 knurl marks on each oar to provide a wide and challenging range of the resistance. Kettler rowing machine has a full-width seat that is thickly padded and comfortable to sit for long time exercise. The important things that seat is the vital element for long time exercise. It is Very Easy to assemble store and maintenance. The resistance level is not super for serious exercise. 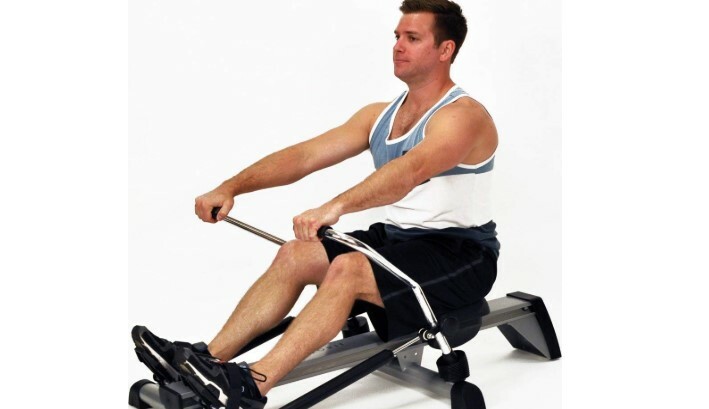 The Favorite Rower is a great mid-range price rower mainly designed for full body workout and indoor exercise. The German designer ensures that it is well exercise equipment for full body. This machine can provide an extensive warranty. It has many great features that you don’t typically find in this price range around $400, which allows you to optimize your exercise and more developed your progress. This rowing machine is designed with the user in mind with many outstanding friendly features. Rowing machine Kettler is a very well made machine and should last for a long time. It has the great machine parts that are made by fully power coating technology. At least the durable constructing and lifetime manufacturer warranty ensures you will have a perfectly function rower for a lifetime. The outstanding features alone make this a comfortable rowing machine and allow you to extend exercise for an optimal experience. The display also shows lots of important data about the workout. Plus the heart rate feature and compute functions allow you to simulate your exertion and track you developed from exercise to exercise. The price is also within the midrange and affordable for all users. So I can recommend the Kettler rowing machine is the best for exercise equipment for full body indoor workout.